One of the best ways to reduce clogged pores and pesky breakouts is to regularly clean your makeup brushes and sponges. Sounds easy enough, right? That's because it is. Set aside a designated day each week for the task, and if your motivation for doing so falls short, just keep this in mind— every use of that foundation brush of yours contributes a new layer of makeup, dirt and oil to its bristles, which are then buffed and re-buffed directly onto your skin. Grime equals clogged pores; you do the math. Probably the most effective way to get healthier-looking skin is also the simplest— drink more water. 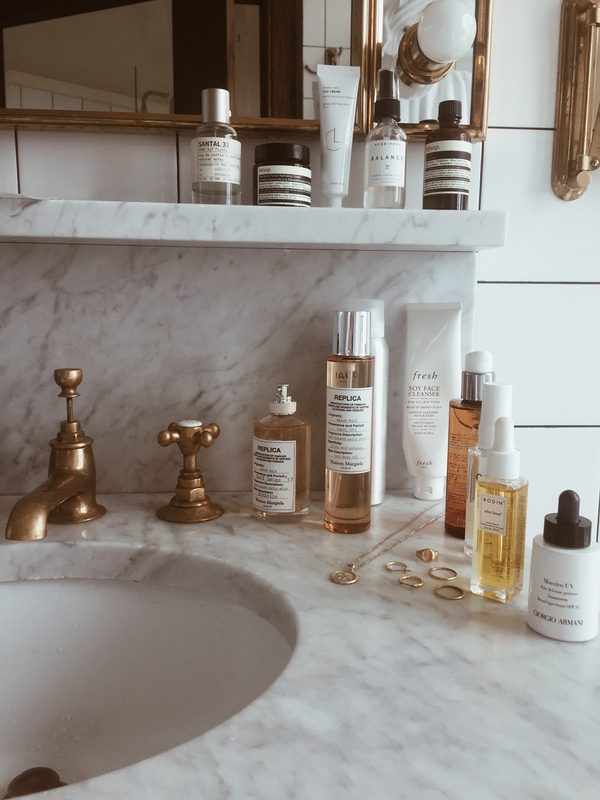 This one is obviously good for you in general, but when it comes to optimizing your complexion, proper hydration can help your skin retain its elasticity, flush out unwanted toxins, clear up dry patches and just give a clearer appearance overall. If the thought of drinking more water seems daunting, you can always download a water-tracking app to help you meet your daily goals, and if the taste just doesn't appeal to you, try infusing your agua with fruits and herbs for a more palatable experience. Bonus: You'll be adding extra skin-boosting vitamins to your diet by going this route, especially if lemons are your thing (hello, Vitamin E!). 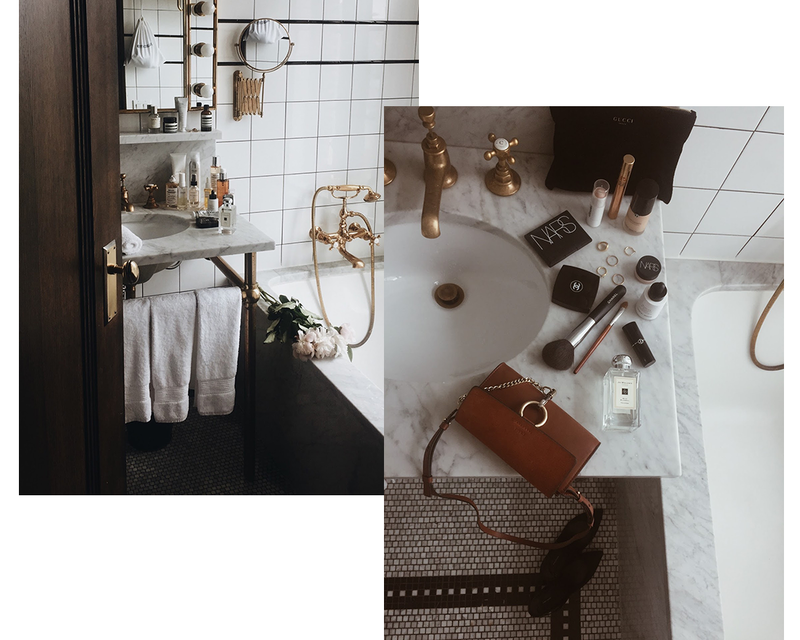 This is something I've yet to incorporate into my own life, but I'm planning on doing so soon and here's why— no matter how hard I try to sleep on my back, I always wake up with my face pressed against my pillow. And anyone who does the same will know the result: sleep creases all across your face. Not a cute look first thing in the morning, and not great for protecting your skin against premature aging. Plus silk pillowcases are hypoallergenic and said to help your skin retain moisture, so I personally am running out of excuses for not buying one yet. 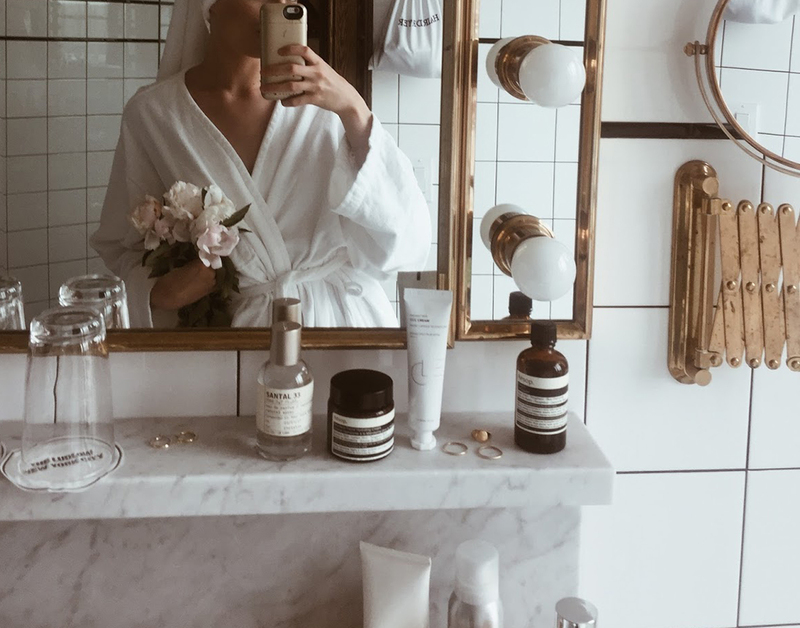 Sometimes half the battle toward clear, healthy skin is stability— I've spoken about this before, but the more products I test out on my skin (the curse of the beauty blogger), the more breakouts I seem to get. Sticking to a range of products that agree with my skin, on the other hand, seems to keep it happy, hydrated and flare-up free. Now this doesn't apply to adjusting your skincare between seasons; rather, if you use the same products daily during the winter, and then another crop daily during the summer, your skin can finally relax, thrive and enjoy all the wondrous potions coming its way rather than scrambling to adjust to different products all the time. Again, guilty. Loading up on fruits and veggies, healthy fats like avocados and nuts, and cutting back on processed and high-glycemic foods (I'm looking at you, sugar) can do wonders for not only your overall health, but for your skin as well. If you breakout after eating dairy, or get skin irritations after eating certain foods or drinking alcohol, your body might be trying to tell you something. As good as those foods/beverages may taste to you now, I promise that if you cut them out for a short period, you'll not only notice a difference in your body and complexion, but you'll stop craving them altogether. Win-win.